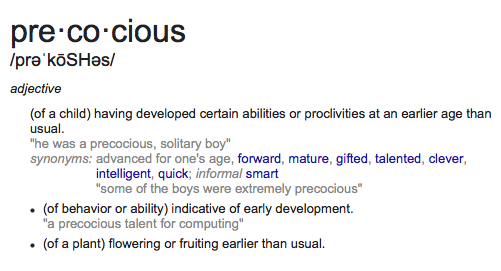 “Julian you are precocious” were the words that I heard that morning from Mrs. Wutke, one of my instructors in high school. That comment sent me scurrying for the dictionary. Nowadays, you turn to dictionary.com— which tells me that I was “flowering or fruiting earlier than usual.” Sadly, Mrs. Wutke was killed in a tragic car accident a few years after I graduated from high school. I have never forgotten her words. Regardless how precocious I was in high school, I was never anywhere near filing an amicus brief in a Supreme Court case. I bring this up because in the Houston Independent School District (HISD), my former employer, there are some precocious students making waves. About 10 HISD Student Congress members spent the summer researching and writing an amicus brief in support of more funding for Texas schools. This from Laura Isensee at Houston Public Media KUHF. More from Houston Public Media KUHF. Listen to the KUHF story by clicking on the link in the Tweet below. Zaakir Tameez, who graduated from Carnegie Vanguard High in 2015, said they wanted the justices to remember that students are more than numbers. “We’ve been through the door,” he said. Juliana Dunn, who also graduated from Carnegie Vanguard, visited Lee High School in Southwest Houston. “It’s a place where a lot of immigrants come to Houston and a lot of English language learners end up here at Lee,” she said. Considering the context of Houston schools, HISD student congress team members tried to answer two questions in the Supreme Court amicus brief. What is it like to educate English language learner students? What would Lee do with more funding? What’s brilliant about the HISD student congress brief is that it focuses on what students would CHOOSE and how THEY would allot additional funding from the state. THIS IS WHAT SCHOOL CHOICE LOOKS LIKE. THIS IS WHAT STUDENTS WANT TO CHOOSE IN THEIR SCHOOLS. Charters, vouchers, parent trigger and all of the other top down, private control policies are not what students desire. They are not looking for cheap education reform that “moves around the chairs on the deck of the Titanic“— they are asking society to invest in reforms that have decades of research supporting them— but have a price tag. What will the Texas Supreme Court decide? What will the courts and legislatures in your locality decide? Will they give the children their choices instead of the ideological priorities of the top-down, private control reformers? See the student’s press release here. See the full text of the brief here. See Wendy Lecker’s, senior attorney for the Education Law Center in NY, Stamford Advocate column about the Houston students here. p.s. Thanks to Karen from Houston for the heads up on this story. This is such a powerful story! I am SO PROUD of the students in the HISD Student Congress. They are outlining a quality education and I hope that the Texas Supreme Court has the courage and wisdom to see that crucial funding is absent and therefore, the right to a quality education has been denied. I also hope that the entire community has the courage and wisdom to stand with the Houston Student Congress. This means so much more than standing with them at a rally but perhaps ultimately paying higher taxes. I would not label these students as precocious. I see them as true Americans, advocating for their right to life, liberty, and pursuit of happiness. Some of the students may not be old enough to vote but I believe children, and in this case young adults, have such a strong sense of justice. I am thankful they are challenging their immediate system and by doing so, challenging us all to be courageous, not precocious, when called upon to advocate for our rights.